Eye creams made from fennel, cleansing milk from mandarin, beauty masks from French pink clay and New Zealand flower essences as an anti-depressant — what sound like the creations of medieval herbalist are in fact the livelihood of Masterton registered nurse and beautician Anita Baker. Last November 3, Mrs. Baker officially launched Gardien, a health and wellness clinic she runs from her home in Millard Avenue, which was opened by new Masterton mayor Lyn Patterson on Sunday. In addition to her clinic, which offers homeopathic remedies, beauty therapy and massage among other things, she has also launched a range of plant-based skin care products – the culmination of seven years’ work. “I had clients using the Gardien range and the clinic over seven years, but I’d never really promoted it,” said Mrs Baker, who studied herbal remedies at Cottage Hill Herbs in Upper Hutt. “I gues I just needed to build up my confidence.” Mrs. Baker said she was first drawn to herbalism while working as a Plunket nurse, when she noticed a lot of clients’ babies had problems with eczema. After completing studies in herbal medicine, Mrs. Baker got to work on the Gardien range which includes cosmetics, moisturisers, sunburn remedies and lip balms. She sources the herbal ingredients, devises a formula for each item, and sends it to a laboratory in Palmerston North to be made. She says her range is free from chemicals with all products containing a plant-based preservative. “Your skin is your biggest organ,” she said. 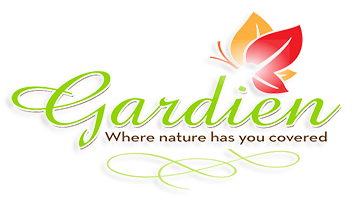 As well as the skin care producs, Mrs. Baker will also be offering Gardien clients herbal remedies for various health issues such as ulcers, bowel problems, glandular fever and allergies. When not devoted to Gardien, Mrs Baker is a student at the Naturopathic College of New Zealand, runs a raspberry farm and is a mother of five.